At BodyElevated, our mission is to elevate Your Body by assuring that workouts and the supporting life style improvements are not simply based on what may work for any body, but specific to every user. A healthy lifestyle is an individual journey that is best navigated by allowing the body to speak! Listening to the body assures that we provide what is needed individually to maximize and maintain results in the least amount of time safely. Here at BodyElevated, we have a genuine love for people and our passion resides at the intersection of humanities, business and tech. We are dedicated to elevating every body by identifying unique differences resulting in an individualized user experience for increased success. Our commitment is to provide highly effective technology to create hyper-personalized fitness programs based upon each user’s unique body signature. 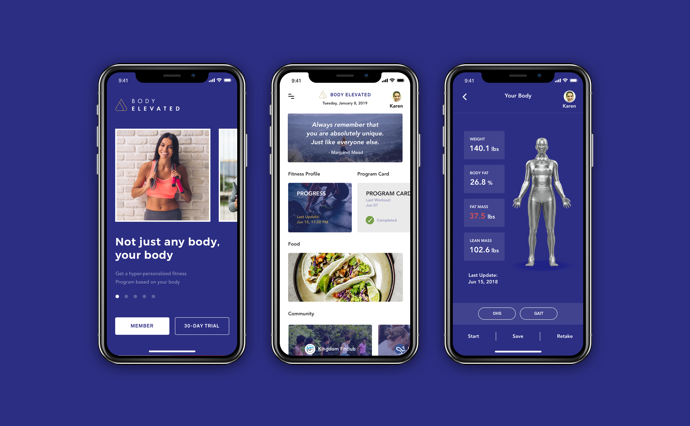 BodyElevated is the first fitness app that truly satisfies and fulfills the goals for the individual’s body through our cutting edge technology. If you too share our passion and connect with our mission, it’s is time to elevate Your Career! We are looking for highly skilled and passionate UI/UX app designers to join our team as we take fitness to an exponential new level. We are looking for highly skilled and passionate developers to join our team as we take fitness to an exponential new level.